The geography out there is exceptional. Lots of wind, dusty air, but the sky was impressive. Clouds would form and grow quickly. Then they’d disappear, blown away down range. I want to go back out there soon with my 600mm fixed focal lens and shoot more landscapes. I liked looking West on the 29 Palms Highway and seeing the mountains off in the distance veiled behind graduating concentrations of atmosphere. 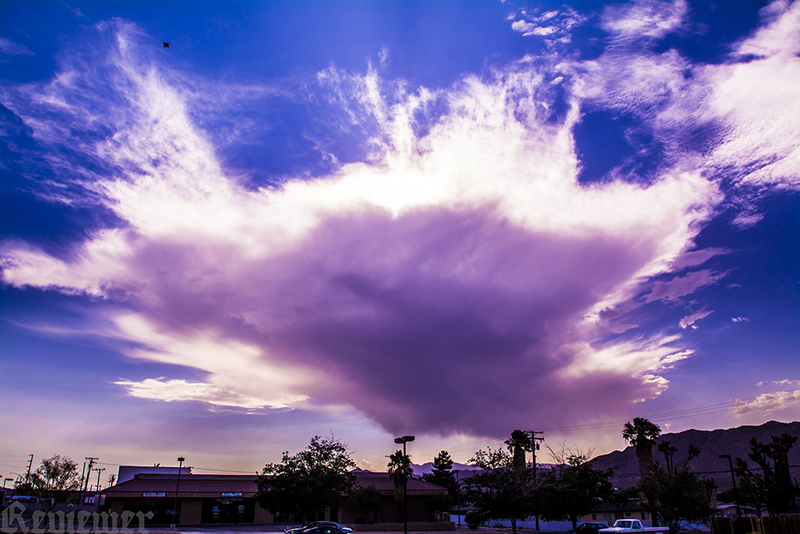 Sudden cloud forming quickly over the valley. Image viewed is after Photoshop. 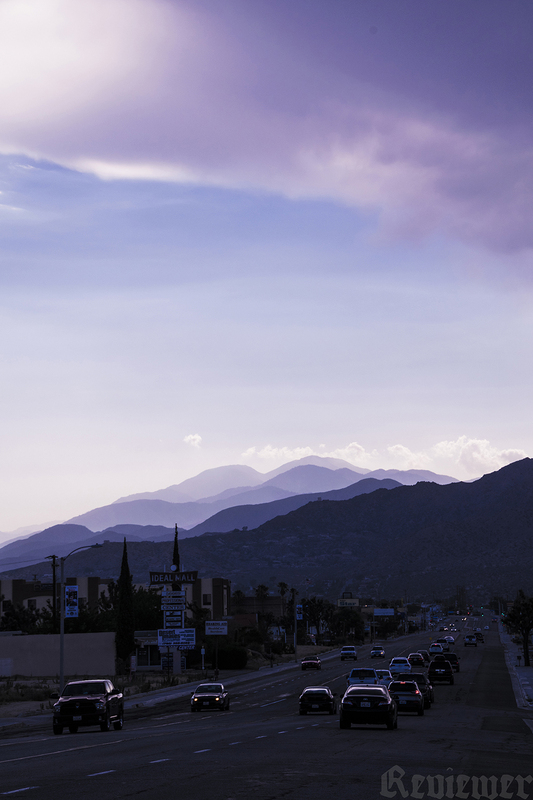 Yucca Valley, looking west along the Highway 62 after the sun disappeared behind the mountains. 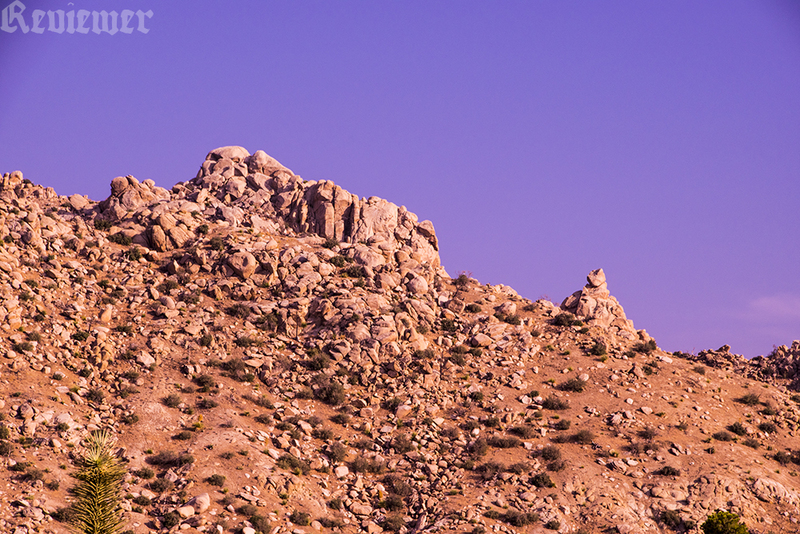 Hilltop south of Pappy & Harriet’s in Pioneertown, shot from the parking lot in front of the bar.